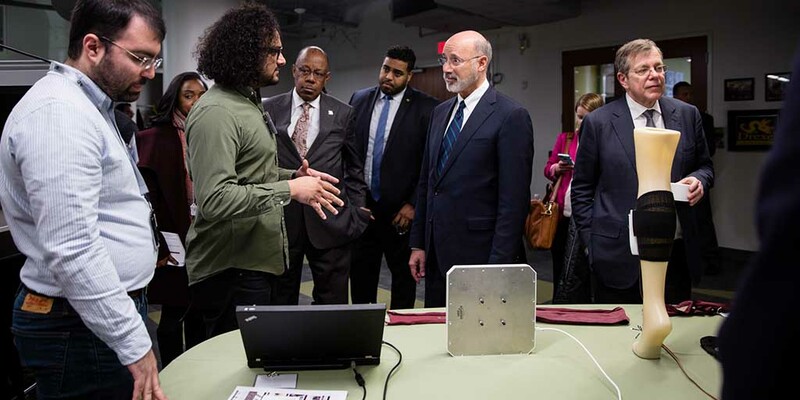 Harrisburg, PA – Today, Governor Tom Wolf announced the approval of Keystone Innovation Zone (KIZ) tax credits for 273 early-stage companies, representing the Wolf Administration’s commitment to Pennsylvania’s technology sector. An example of a company that has benefitted from the KIZ program is Epic Web Studios, a digital marketing and design firm located in Erie and visited by Department of Community and Economic Development Secretary Dennis Davin in September. The support from the KIZ program enabled the company to onboard new employees, which led to further expansion and diversification of its services and client base. A full list of approved Keystone Innovation Zone approvals totaling $15 million in tax credits, as well as more information about the Keystone Innovation Zone Program, a map of the zones, and highlights of past awardees’ success stories, can be found on the DCED website.